Exotic materials have long been integral to the manufacture of the fanciest cars in the world. To anyone who follows trends in this area, it can seem as though barely a month passes without some high-end manufacturer extolling the virtues of its latest wonder material used in the making of some part or other of its latest top model. In this article, we look at some of the most expensive and hard-to-find materials used in making cars throughout history - and what they’ve been used for. The fashionable material of choice for the automotive elite, carbon can be used in many ways around a car, but the most common is as carbon fibre. In this form, it consists of small strands of carbon embedded into a fibrous mat and sealed by a plastic or resin. This ranges from mass-produced carbon fibre in the Alfa Romeo 4C’s chassis ‘tub’ to ludicrously expensive hand-laid carbon fibre used mainly in F1 cars - as well as being found in closely-related road-going cars such as the McLaren 570GT. When blended with ceramic, it is also a component in brake discs found on many high-performance cars. In this form it’s a similar material to the heat-resistant tiles which protected the space shuttle on re-entry through the atmosphere. Carbon is many times stronger and lighter than steel but also so many times more expensive, so only features on the most expensive cars in the world. A form of carbon which is, however, found on even the most humble car is what’s known as carbon black. This is a compound containing tiny amounts of the material, which is added to rubber to strengthen it before it is made into car tyres. It also does a valuable job in protecting the surface of a tyre from heat damage. It’s also what makes the tyres the colour they are. This is also used in certain high-end car parts, most commonly sports exhaust systems. Because titanium is the strongest metal in relation to its density, some car manufacturers, such as Porsche, use it in their quest to minimise the weight of their supercars. Manufacturers don’t generally put gold in their cars to enhance their looks; rather, it’s two other important properties which make it a desirable component in the most prestigious cars where its high price doesn’t automatically preclude its use. It’s one of the best electrical conductors known, so is widely used in minute quantities in connectors, switch and relay contacts, and for soldering metal joints. Tiny pieces of gold are also used in the microcomputers which power many of the electrical systems on a modern car, for the reason above. But part of the reason why gold is so expensive to use is that only 10 per cent of the precious metal which is mined is ever made into anything apart from bullion (those gold bars we all know from films) - and nearly 80 per cent of this tiny proportion ends up as jewellery (surprise, surprise…). As in the 140 grams of silver used to make the badge for every model of the world’s current fastest car, the Bugatti Chiron. But more commonly, silver is also an important component in the heating element which helps clear many cars’ rear - and sometimes front - windscreen, although this will only amount to a couple of grams per car. Rhodium is mostly used in three-way catalytic converters to reduce a car's carbon emissions. So you wouldn’t just find it in high-end vehicles - although many manufacturers make do with cheaper alternatives. For this kind of use, it’s usually one element of a platinum alloy, which helps bring down the cost somewhat. So far, we’ve looked at materials which are mostly invisible, because they’re only used in minute quantities, even though their special properties usually make them ideal for performing a specific role in the complex workings of a car. But how about those materials which contribute to giving a car the kind of premium ambience which confers them with a special kind of cachet - the kind of driving, or travelling experience that ‘only money can buy’? We can certainly start by noting the one material which is noticeably absent from the interior of most high-quality cars - and that’s plastic. Whereas the mass-market cars that most of us drive tend to make extensive use of various grades of plastic because it can be tough, hard-wearing and of course, made cheaply. Under the skin, however, every car will consist of some proportion of plastic, purely because of these reasons. It’s when you start substituting that plastic for natural materials that production costs start to escalate. A natural leather seat cover, for example, does cost more than one made from cloth or vinyl - but because of the volumes of the various materials which car manufacturers use, the differences in the prices are surprisingly small. The extra you have to pay for a leather interior in your car is more about the perceived difference in the quality of ambience this produces over the various cloth-derived alternatives. Napa leather is generally considered one of the most premium forms of material used in making car seats and interior trim. It is made from the skin of kids or lambs, is very supple and lightweight and wears well compared to other leathers. It’s freely traded on Chinese-owned online marketplace Alibaba.com, and the wholesale cost is anything up to $6 (£4.90) a metre. As we mentioned above, the greatly increased cost of having a real leather interior in many cars - as opposed to one intended to look like the real deal but actually made from man-made materials - does push up the cost you pay, even if benefits in terms of comfort are minimal. While the materials used to clothe the interior of a mass-market car might be almost identical to those on more expensive models, the real reason why the same materials cost more on the more exclusive models comes down to economies of scale, or a lack thereof. Even the cheapest, mass-market cars will have been subject to development work costing millions of pounds/dollars, but as the cars involved go further upmarket, those costs increase relatively little. Yet when it comes to dealers being able to sell more cars at the lower end of the market, that perception of quality can make a lot of difference to their efforts. So the potential gains from equipping a car with a ‘quality’ looking and feeling interior can be far greater than at the top end of the market, where customers will expect a high degree of comfort and exclusivity, and can always buy elsewhere if they don’t like what is being offered. This is why, at the premium end of the car market, there is so much emphasis on a car being built to an individual customer’s requirements, or to the configurations offered being the result of feedback received from customers, as Bentley, for example, emphasises heavily. 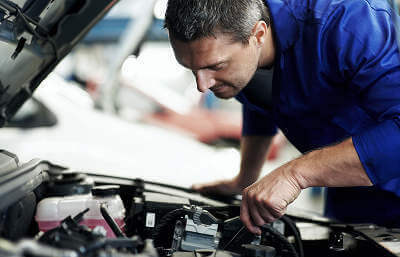 And of course, if so many different options for a car’s equipment are being offered, a manufacturer has to carry the cost of sourcing and using all those different materials, and can’t benefit from the reduction in costs which its competitors will get if they’re buying so much more of a similar material. Finally, there’s the cost of fitting out a car factory for it to be able to accommodate the extra work involved in using premium materials in their manufacture. A car factory will cost many millions to build, so most manufacturers will want its production lines to be turning out as many cars as possible, so as to recoup that investment as quickly as possible. The main reason that something like a Range Rover or Mercedes SL costs so much is production volume. By producing so many fewer cars in a factory, those cars have to make a higher individual profit, because so many of the fixed operating costs - mainly energy, raw materials and manpower - will be broadly the same whether a plant is making five cars a week or 5,000. These costs mean that it’s inescapable that a limited-run vehicle will cost more than one which is mass-produced. Not only that, but the profit-per-vehicle will also have to be higher the smaller the number of cars being made. The Pagani Huayra hasn’t even left the production line yet, but the supercar manufacturer is wooing potential buyers with the promise of bespoke interiors created using leather sourced from an Italian fashion house. If you’re building a supercar in the Lebanon, it’s a good idea to have a strong unique selling proposition (USP) to tempt people away from those Italian, American or British rivals. The Lykan HyperSport starred in the movie Fast And Furious 7, and the interior we’ve seen is a riot of glossy metal and monochrome leather - not a cheap look to achieve. In the mid-1990s some top-of-the-range BMW sports cars sold on the American market could be specified with buffalo hide seats. According to one forum contributor, the material was coarser, thicker and more durable than the more regular napa leather. There’s even a company based in Texas, USA, which offers to individually craft upholstery to your own specifications from a range of exotic animal skins, including alligator, elephant and ostrich, as on this crazy pick-up. The Koenigsegg Agera R, which was even offered with the ultimate accessory - a pair of skis produced in a colour scheme to match the buyer’s individual choice of upholstery for the car. But then, when you were paying as much as $1.7million (£1.39million) for the car - at 2012 prices - you’d surely want to drive it up every mountain you could find, so at least getting down again wouldn’t be a problem. OK, over to you - if money was no object, what would you specify for the interior of your ultimate car? Let us know via our Facebook page.